Create cherished memories to last a lifetime in the stunning alpine setting at the Hyatt Regency Lake Tahoe Resort, Spa and Casino. Whether you dream of a lakefront ceremony, a wedding in a lush green meadow, an intimate gathering in a stunning mountain lodge or a grand reception in the Lakeside Ballroom, any of Hyatt Lake Tahoe wedding venues will make an ideal setting for a memorable event. Whatever you envision. 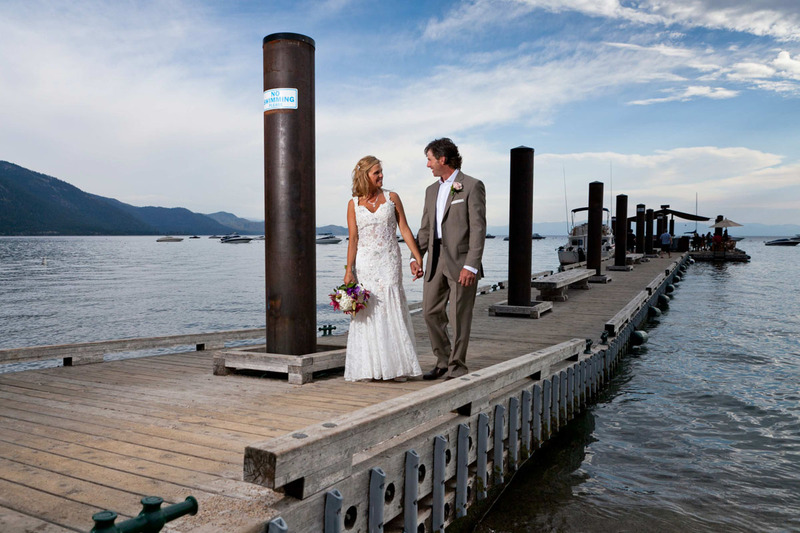 Hyatt offers a AAA Four Diamond service and accommodations combine to make your Lake Tahoe wedding day unforgettable. Imagine a Lake Tahoe wedding reception site that reflects your personalities and showcases your love, while a team of professionals customizes your celebration to match your tastes. Envision your wedding and reception, and discover Hyatt Regency Lake Tahoe Resort, Spa and Casino has the expertise to make it a reality. Every wedding - no matter how large or small - involves many details to be looked after.